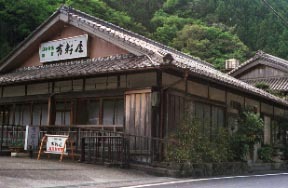 It is a Japanese style steel rod in which 2 stories of wooden main building will look down on a Structured in Showa 17, and a new building overlooks a ravine. 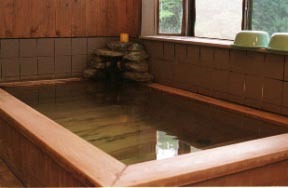 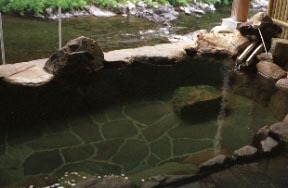 The inner bath of the total podocarp structure, "3 [ Japanese ] beauty's hot water." 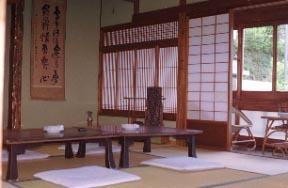 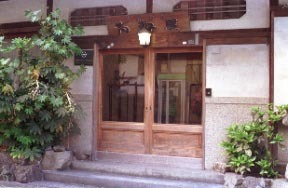 It is the emotional structure which put the good location to see and the stone in order for Hidaka-gawa in the style of a garden from the open bath of the charter system.